It seems really exciting to try out some cool stuff developed with a 3D printer. However there is something at least just as wonderful – that is a 3D printer making another, and another, and one more. 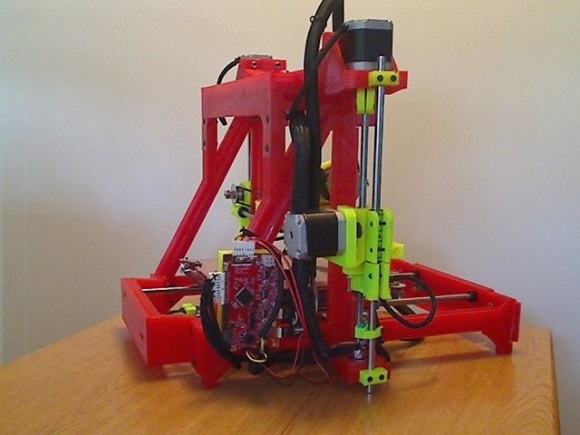 This time we are writing about the Long Bed Printed 3D Printer by a member of Instructables dmserve, whom his friends know as Dennis. One evening Dennis and his friends were having a chat discussing 3D printing technology and the equipment, when they came up with the concept of the 3D printer possessing some nice features. Dennis asked Hall, one of the 3D printing enthusiasts, if there were any features that he would like to add to 3D printers. So six months later the self-reproducing 3D printer made of plastic appeared. Its design will amaze everyone. Dennis and Les spent a lot of time considering the idea of a 3D printer that could reproduce itself. 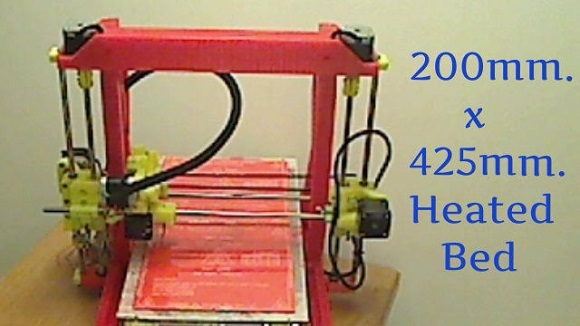 “Little Red” was the first prototype of the printer developed by Dennis. By the end of 2014 the printer was functional and could print. Having checked that the printer worked, they moved on to adding reproducibility. In the end they came up with the Big Red design, which possesses a long bed from the adjusted i2 design. The work started on December, 13, 2014, and they expected to have the first print on April, 11, 2015. The idea was not only to develop a self-replicating 3D printer, but also the 3D printer almost entirely made of plastic. The latter feature became the major focus. Only a couple of mechanical details, like the motors, chips and rods, were not plastic. The whole project was featured in the Instructables project. When Dennis was working to create a frame that would be printed on the heated bed, he found out that he required a bigger build surface. He made his way to control this bigger bed and so he got the largest size of the frame pieces. He combined various parts and produced the main frame of nine parts. The printing area of the Big Red frame is 200x425x100 mm, and its main pieces are the Lower Center frame, left and right sides, upper motor mount, upper left and right sides, upper end plate, lower end plate with motor mount and the one with idler. 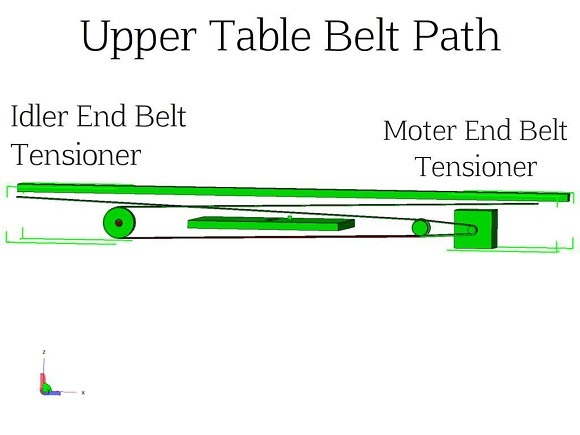 The lower table moves slower in comparison with the upper one. 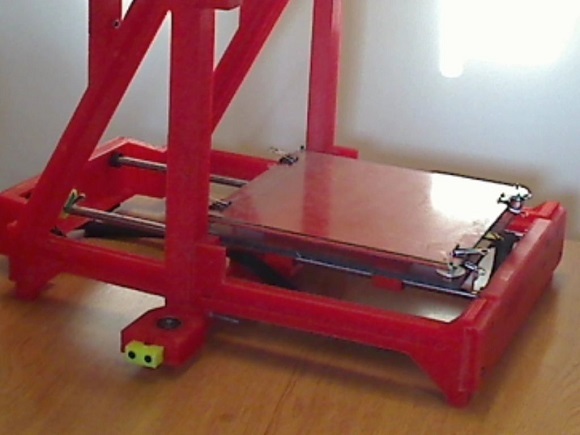 The latter supports and keeps adjustment under the print head. Dennis advises to use auto level with the design. Other distinctive features of the printer are the X-carriage, which passes by the vertical part of the main frame and allows for more X-travel, and the extruder, which has a 90-degrees rotation function increasing the X-travel. Such a version makes use of 3,0mm filament, but Dennis mentioned that he hadn’t tried the 1,75mm. Dennis confessed that his aim is not to boast about the printer prototype. He also admits that there are other, more costly ways to do it. Dennis said that the printer can be further developed and he is going to test and observe the design to check on the weak sides and mistakes so as to improve them. In the Instructable Dennis shows the users the process of building the design like the “Big Red”, starting with joining parts of the main frame. 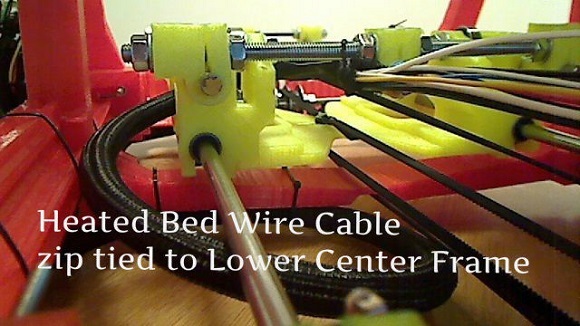 He warns that if the printer is not large enough for printing, you should hold tight, because now he’s trying to develop one more Instructable for larger modifications of bed for i2’s. 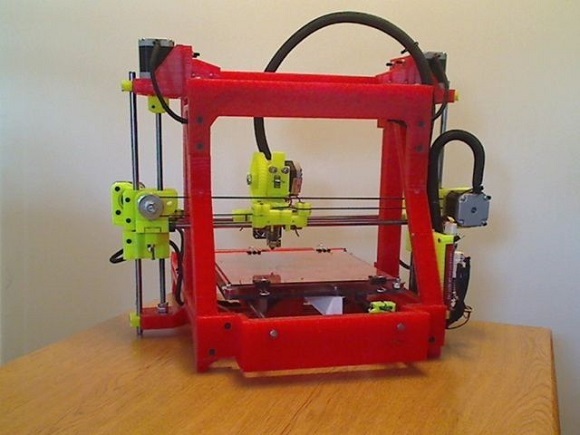 It can be adjusted to use with other printers. The printing time may vary from three to ten hours, you will need no supports. Both designs are going to be open source for non-commercial use to let everybody print the Big Red or the Little Red themselves.